Torrential rainfall in the Lynchburg area caused flooding in several places and caused College Lake, which sits on the University of Lynchburg campus, to overflow onto Lakeside Drive. The dam, owned and maintained by the city, became a key concern. If the dam broke, areas downstream could be flooded with 17 feet of water within minutes. Officials evacuated more than 100 homes. 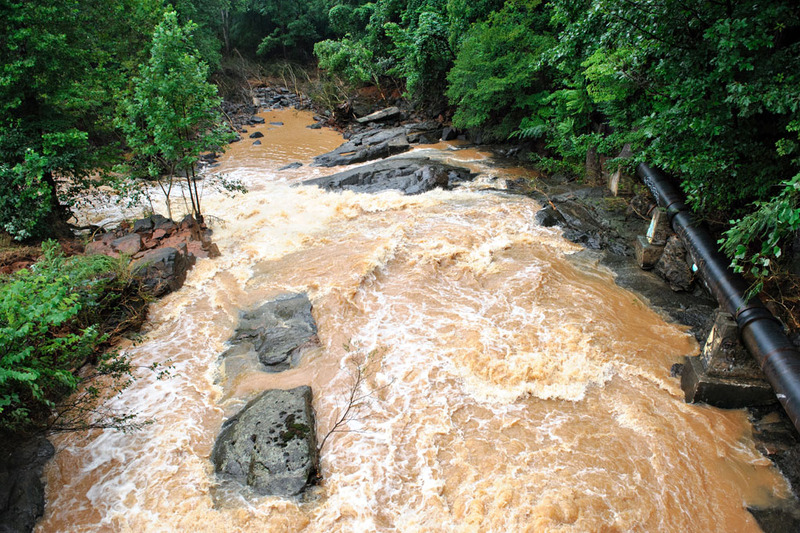 On Friday afternoon, the city announced that the dam is deemed stable for now, but will continue monitoring the situation as additional rainfall passes through the region. 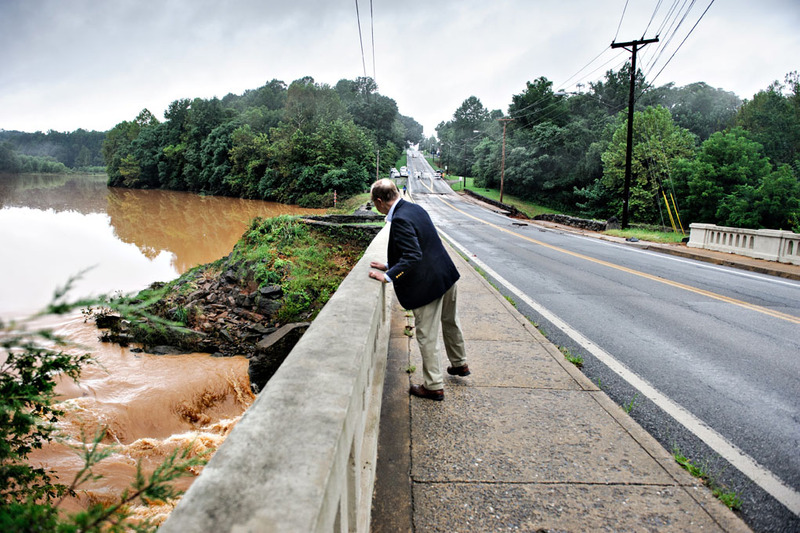 University of Lynchburg President Kenneth R. Garren looks at College Lake the morning after torrential rainfall caused concerns that the dam could fail. The dam has been deemed stable but the city, which owns and maintains the dam, continues to monitor the situation. Dr. Garren walked to Lakeside Drive to observe the lake early Friday morning. College Lake has been a key concern of his as the University community and city officials have discussed its future, knowing that the city would eventually need to remove or upgrade the dam for long-term stability. College Lake was created more than 80 years ago when the dam was built. For years, it served as a site for recreation as well as environmental study. Erosion and sediment have made it unfit for recreational use in recent years, but it continues to provide an outdoor learning lab. The Lakeside Drive entrance to the University of Lynchburg remains closed. Campus can be accessed on College Street and Vernon Street. Several buildings on campus experienced minor flooding on Thursday night, but issues are being addressed. Blackwater Creek runs high just past the College Lake dam.